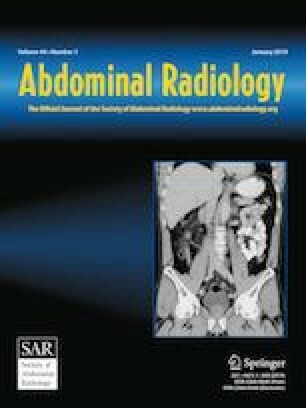 To assess the association between T2-weighted imaging (T2WI) texture-analysis parameters and the pathological aggressiveness or long-term outcomes in pancreatic ductal adenocarcinoma (PDAC) patients. A total of 66 patients (mean age 65.3 ± 9.0 years) who underwent preoperative MRI followed by pancreatectomy for PDAC between 2013 and 2015 were included in this study. A radiologist performed a texture analysis twice on one axial image using commercial software. Differences in the tex parameters, according to pathological factors, were analyzed using a Student’s t test or an ANOVA with Tukey’s test. Univariate and multivariate Cox proportional hazards regression analyses were used to evaluate the association between tex parameters and recurrence-free survival (RFS) or overall survival (OS). The mean follow-up time was 18.5 months, and there were 58 recurrences and 39 deaths. The mean of the positive pixel (MPP)-related factors was significantly lower in poorly differentiated tumors than in well-differentiated tumors as well as in cases with perineural invasion. The univariate Cox proportional hazards analysis showed a significant association between the tex parameters and RFS or OS. However, only tumor size was statistically significant after the multivariate analysis. Only tumor size and entropy with medium texture were significantly associated with OS after the multivariate analysis. Tumor size was a significant predictive factor for RFS and OS in PDAC patients. Although entropy with medium texture analysis was significantly associated with OS, there were also limitations in the texture analysis; thus, further study is necessary. The online version of this article ( https://doi.org/10.1007/s00261-018-1681-2) contains supplementary material, which is available to authorized users. National Comprehensive Cancer Network. Clinical practice guidelines in oncology (NCCN Guidelines). Pancreatic adenocarcinoma. Version 1. 2018. https://www.nccn.org/professionals/physician_gls/pdf/pancreatic.pdf.